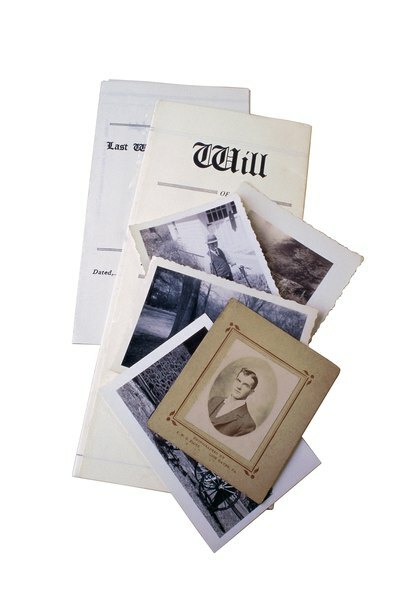 Obtain the original last will and testament and verify that you are the executor of the will. By Canadian law, only the named executor can carry out the instructions of the testator -- the individual who drew up the will. The testator should have left the will in a safe place, such as a safety deposit box or in the custody of his attorney. Check with the Vital Statistics Agency nearest you to confirm that the will you have is the original. The agency will prepare a Certificate of Wills Search that will give the date of the will and the name of the person who registered it. In British Columbia and throughout Canada, attorneys who draw up wills register them with the Vital Statistics Agency. Notify the beneficiaries named in the will of the existence of the will and keep them apprised of the probate process. By the Canadian law known as the Estate Administration Act, all beneficiaries must be given written notice as well as a copy of the will. Bring the Certificate of Wills Search and your copy of the will to the provincial civil court, where you must submit an application for a grant of probate. You will have to provide identification and pay a probate fee. You will also have to submit an affidavit that declares you are the named executor and a declaration that all beneficiaries have been notified of the will. The court will issue a Grant of Letters Probate naming you as the legal executor, and the registrar will schedule a hearing for any issues that need to be litigated. Relatives of the testator have six months from your probate filing to submit any claims or objections to the will. File an application in the Land Titles Office to register any land held by the deceased in joint tenancy with another individual. Bring a copy of the deceased’s death certificate. Such property does not have to go through probate; you will simply transfer title to the surviving joint owner. By Canadian law, insurance policies with named beneficiaries, assets held in a joint bank account, or vehicles or other property owned jointly are not part of the estate and do not have to go through the probate process.